Hello guys, Happy New Year 2019. I am sure you all have made your goals and started planning on how to achieve them. If you are passionate about creating mobile games and applications and want to learn how to develop Android apps or want to become an Android application developer then you have come to the right place. In this course, I am going to share some of the best and free Android development courses for Java programmers and others. You might know that earlier Java was the only language which is used to create Android applications but since last year, Google has announced Kotlin as the official language for Android app development which means you can use either Kotlin or Java to create Android apps. If you are unsure about learning Android then let me tell you that it is probably the single most technology which will give you the biggest reach in the world. There are millions of mobile devices including phones, tablets, and computers which are running Android Operating System. By learning Android and creating apps you can not only impact the lives of that many people but also make a career and living for yourself. It not only allows you to find a job in reputed, fortune 500 companies but also you can work as a freelancer and become an entrepreneur by creating your own apps. I have said that before, if you want to become a programmer in this century you better know both mobile and web development. These are the two skills which will always be in demand and you will never short of work and opportunities. 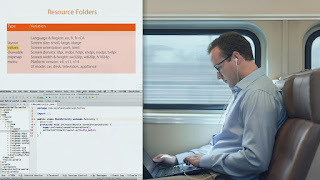 In the past, I have shared free courses and books to learn Java and Kotlin and today we'll see some free Android development courses from Udemy which you can use to learn Android application development. Without any further ado, here is my list of free Android courses for programmers and developers. Btw, let me make it clear that even though these courses are free it doesn't mean that they are poor quality. They are just made freely available by their instructor for promotional and educational purpose. You should also be careful while joining the course because sometimes instructor convert their free course to a paid one, particularly in Udemy, once they reach their promotional target. Anyway, let's check out some of the best free courses to learn Andapplicationation development in 2019. This is one of the most comprehensive course to learn Android applicationd evelopment with 27+ hours of content. The course not just teach you Android but also Java programming. If you are thinking to start Android development with Java then this is the perfect course for you. In this course, first you will have a good overview of Java and then setup Android developmetn environmetn by downloading and isntalling Android Studio. After that you will learn to create an Android app, debug an Android appliation, and how to create a signed APK file to submit to the Google Play Store for listing. You will also learn fundamental concepts of Android like Explicit and Implicit Intents, how to use Fragments, custom list view, Android actionbar, how to use Async task, how to use Use Shared Preferences, Files and SQLite etc. In short, a perfect course to learn Android appliation development using Java programming langauge. This is one of the best course to learn Android online, it's both comprehensive but fun to watch as well. This is also one of the most popular Android course on Udemy with over 341,499 students already enrolled on this course. It's also not just an 1/2 hour courrse but contains more than 11.5 hours of quality material to teach you Android. The course is also very hands-on, you will learn to setup your own development environment using Android Studio and create, run, and debug the application on both Emulator and device. If you want to become a professional Android developer in 2019, this is the course you should. Only downside of this course is that it's not updated recently but still it's very useful in learning Android, whose fundamentals hasn't changed much in the last few years. This is a rather more up-to-date course to learn Android in 2019. It covers both Android 8 Oreo and Anroid 7 Nougat. It also covers Android 6 Marshmallow, depending upon whether or not you want to learn it. The cousse is delivered by Kavita Mandal and it contains more than 8.5 hours of teaching material, which covers all the basic and some advanced Android concepts. The course is also hands-on and you will learn how to develop Android appliation in Android Studio, the most popular IDE for creating Android appliations. You will learn to create a project, navigate, run, and debug and also explore some shortcuts for effective development. 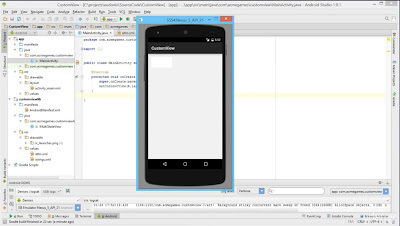 At the end of the course, you will also build a "Quiz App" in Android. Overall, a nice course to start with Android 8 development in 2019 for free. This is another great freee course on learn Android on Udemy, the best part of this course is that it's structure nicely to cover essential concepts of Android. The course starts from the basic Android architecture and ecosystem and follows it up with simple APIs and then moving to complex and latest APIs such as Sensors, Material Design, and Data Storage. It's also more up-to-date and covers a practical aspect of Android development like tips to make your App more professional, how to monetize your apps and prepare yourself for an Android Job Interviews. In short, a perect course for to learn professional Android development for free, whether you intend to find a job as Android developer or create your own app to become enterprenure, this course is great for both. This is one of the first couse you should attend on Android. It's very basic and cover some important fundamentals of Android application development platform. In this course, you will first learn how Android apps are structured, then download Android Studio to create the Hello World app. After that, you will extend the Hello World app to learn core concepts such as drawables, dimens, styles, menu, and testing. The course finishes with a list of next steps for you to expand your Android knowledge. Btw, this course is not exactly free, as you would need a Pluaralsight membershipt to access this course. It's good to have Pluralsight membership because you get access to more than 5000+ courses to learn the latest technologies. But, if you can't join, you can also take a 10-day free trial without any commitment to access this course for free, well almost because the trial will give you 200 minutes worth of watch, which is more than enough to complete this course. That's all about some of the best free courses to learn Android app development and create cool Android games and apps which you can sell on Google's Playsotre and make money. Android also opens the door for several mobile application develoepr jobs, if you would like to work for other companies you can always find a suitable job with your Android skills. Thanks for reading this article so far. If you like these free Android courses then please share with your friends and colleagues. If you have any questions or feedback then please drop a note. P.S. 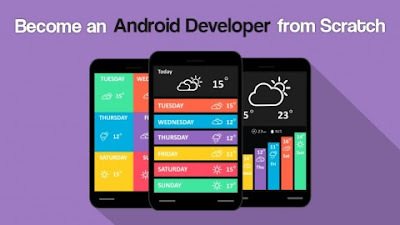 - If you are looking for just one course to learn Android from start to end then I suggest you join The Complete Android N Developer Course on Udemy. You can get this course on just $10 on Udemy's several flash sale which happens every month.